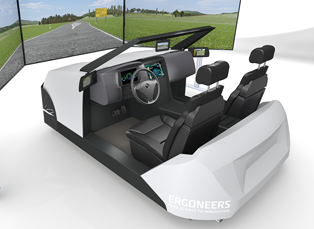 Ergoneers Sim-Lab is the modular and scalable solution that offers all possibilities for driving simulation – from compact one-seater simulators to modified real vehicles. 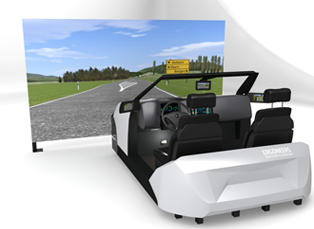 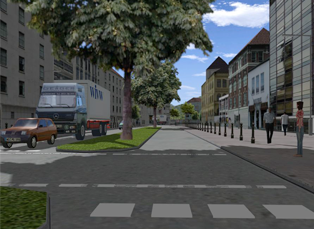 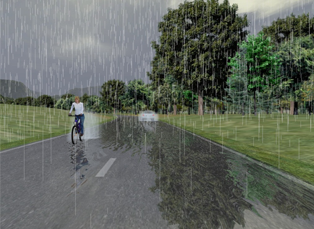 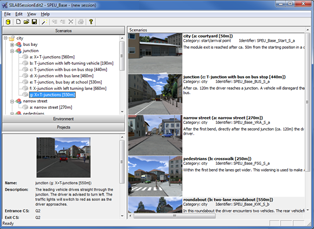 The scalable simulator modules – mockup, sight and software – can be freely combined to achieve the desired fidelity. 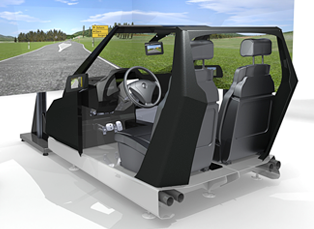 Contact us for more advanced options. 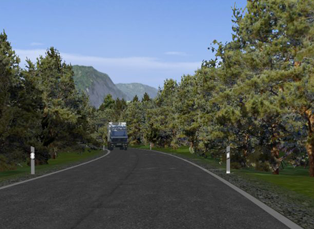 Ergoneers can find a solution to meet your needs. 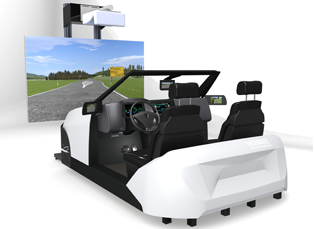 To best fit the needs of your research, Sim-Lab can be configured with your choice of mock-up: ranging from a modular mock-up (one or two-seater) to a real car. 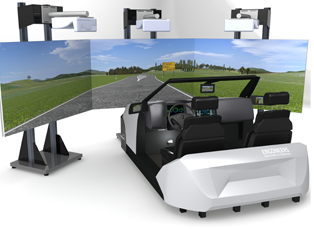 Our modular mock-up is fully scalable – start with what you need and easily upgrade later with more modules. 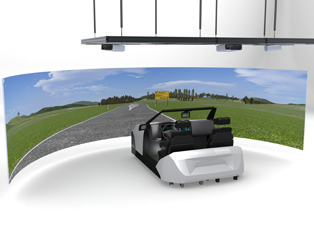 Choose Sim-Lab and take advantage of our flexible sight simulation modules. 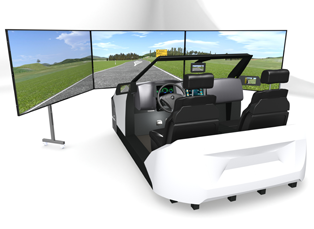 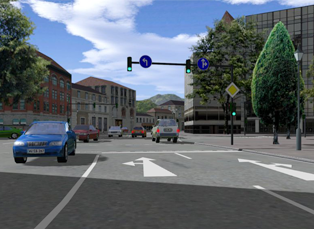 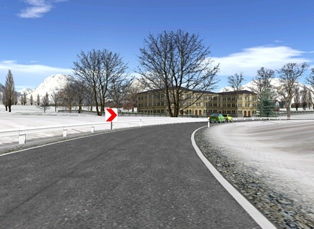 Depending on your requirements and budget, Sim-Lab helps you to realize all kinds of driving sceneries. 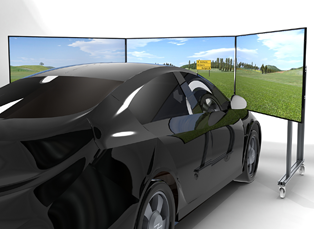 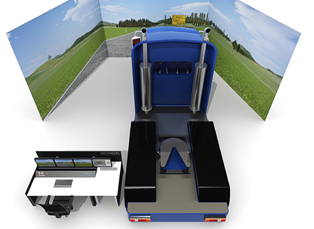 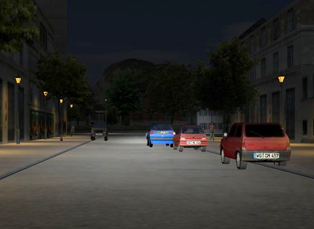 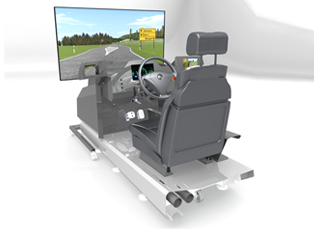 Ergoneers custom driving simulators are installed and operated with a special simulation software called Silab. 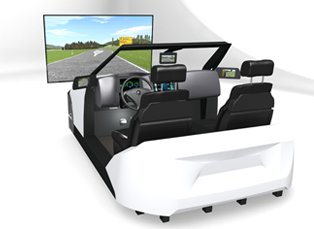 It is fully flexible, expandable and scalable. 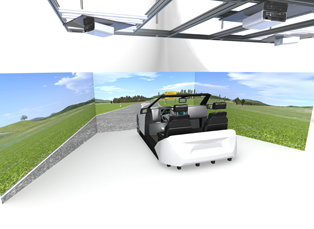 Easily configured to your research needs, Silab helps you to extend your simulation environment with new functions and modules such as new sight channels or motion cueing at any time.